Mr. Lincoln’s expertise includes economic analysis/research and general data analysis. He has been part of several teams which worked on local and regional research projects on the services, energy, ICT and other sectors since 2009. In 2017 he led a study for the T&T Coalition of Services Industries which ranked service sectors based on their export potential. He has a B.Sc. and an M.Sc. in Economics from the University of the West Indies and currently lectures at the University of the Southern Caribbean where he teaches courses in economics, finance and statistics. Sara holds a first degree, and Masters with distinction in Economics. She is dedicated to research and specialises in human development. Her research is heavily focused on econometrics, poverty, inequality and measures of human development. Her specialization does not subject her to these areas of research, and she is very open to exploring different topics or hypotheses. Sherry Hassanali joined the Trinidad and Tobago Coalition of Services Industries Ltd (TTCSI) in 2007 as its very first employee. With over 25 years of senior management experience in both the private and public sectors under her belt, Hassanali’s skills and expertise continue to be a major asset to the company. 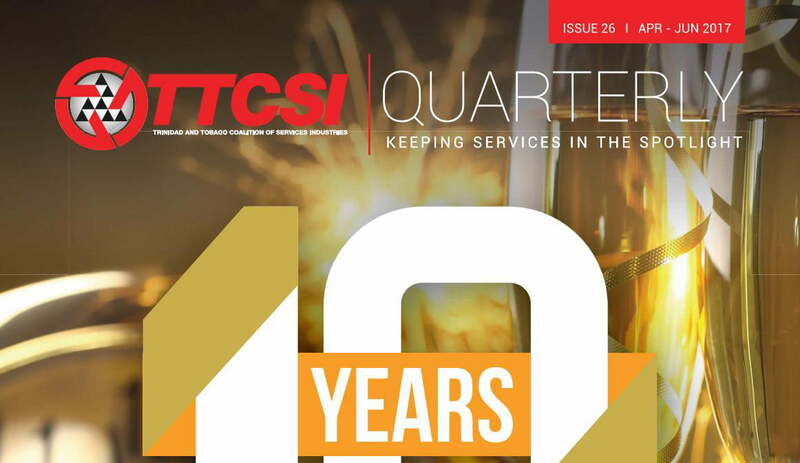 She was instrumental in helping TTCSI make its name in the services industry and assisted the company’s Interim Board with important pilot projects. She also played an integral role in the planning and implementation processes for the development and growth of the Coalition. In 2010, Hassanali celebrated another professional milestone when she was appointed to the prestigious position of TTCSI’s Member Relations, Administration and Events Officer. A team player and hard worker, Hassanali continues to serve TTCSI and remains committed to helping the company successfully achieve its set goals and objectives.